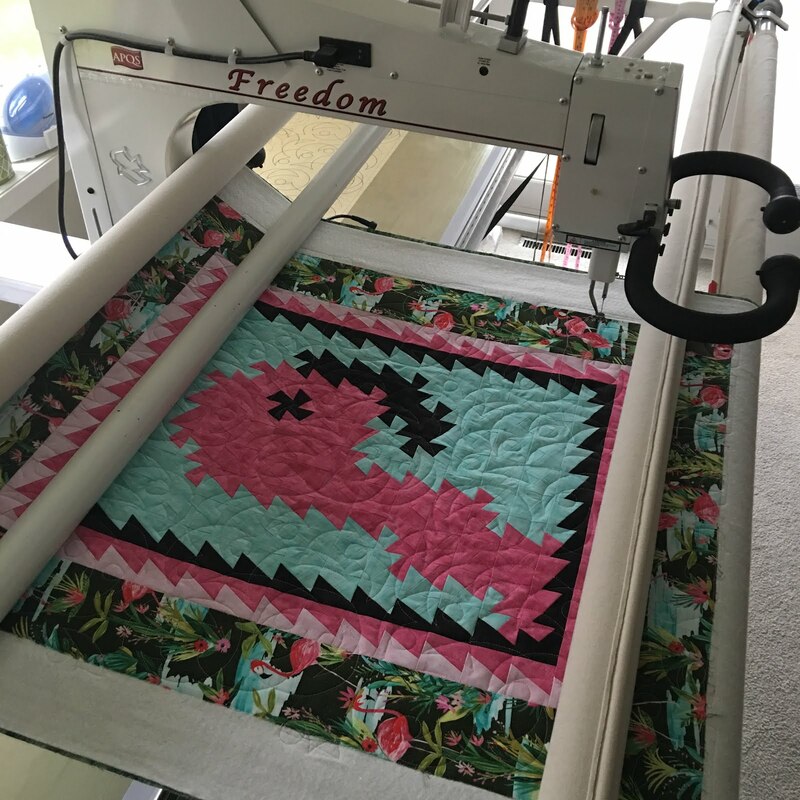 Peggy has been stitching up quilts! This first one features a flamingo made with the "Twister" template. 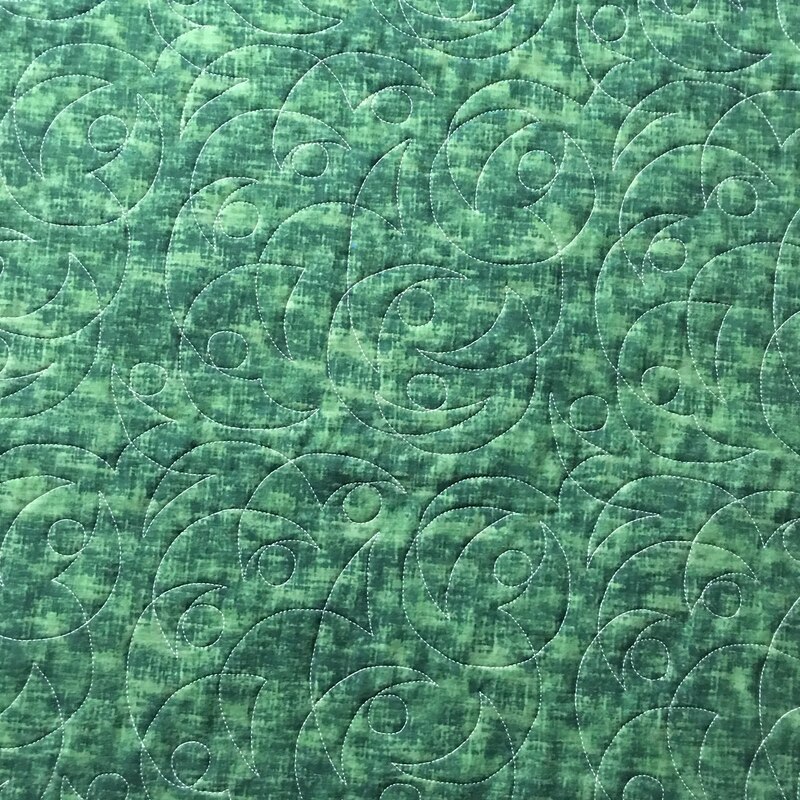 If you're not familiar with the Twister template, check out this link for a search result on the many different Twister quilts on the internet. And what else but flamingos in the border! And next up is a Micky Mouse panel quilt that Peggy made for her friend's great-grandson! 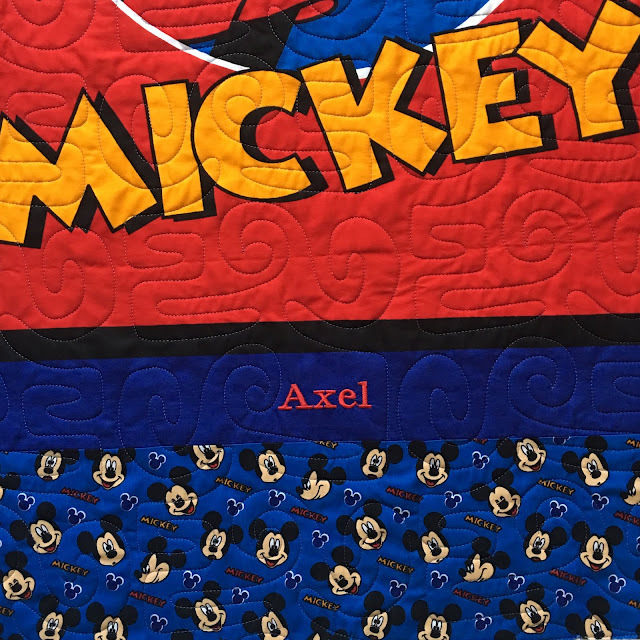 Peggy has an embroidery machine and was able to add the little guy's name to the quilt, Axel. Minkee on the back of this makes it's super cuddly! 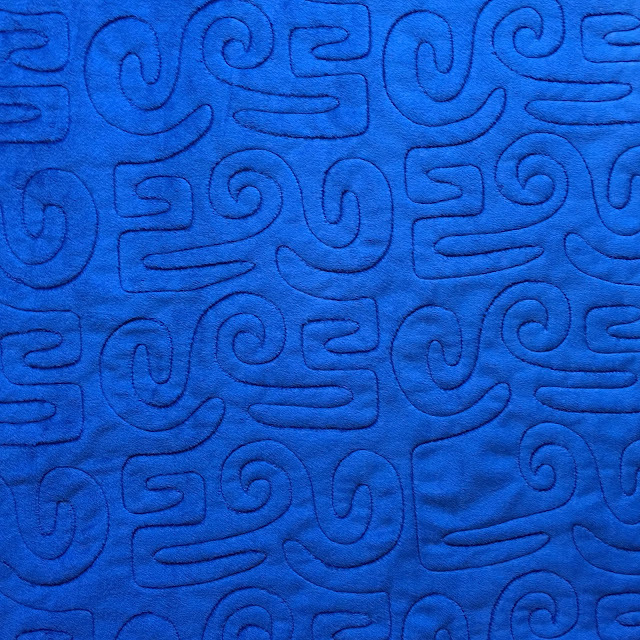 The quilting is "Modernish 3". 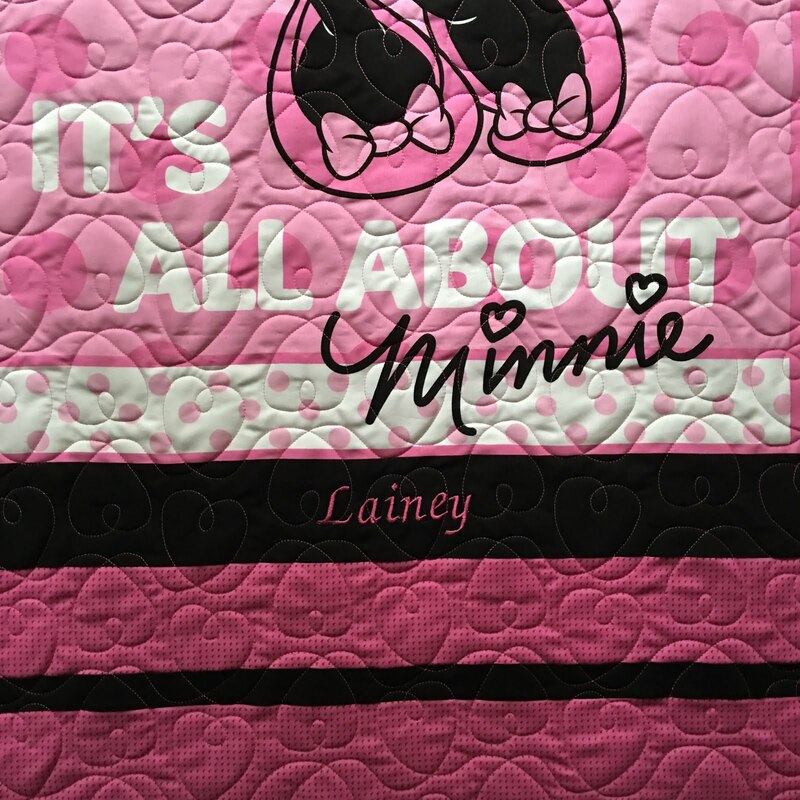 Here's a quilt that Peggy made last year for the same friend's great-granddaughter. Once again the backing is Minkee. The quilting is "Heart String". Peggy also added her embroidered name on this one, Lainey! 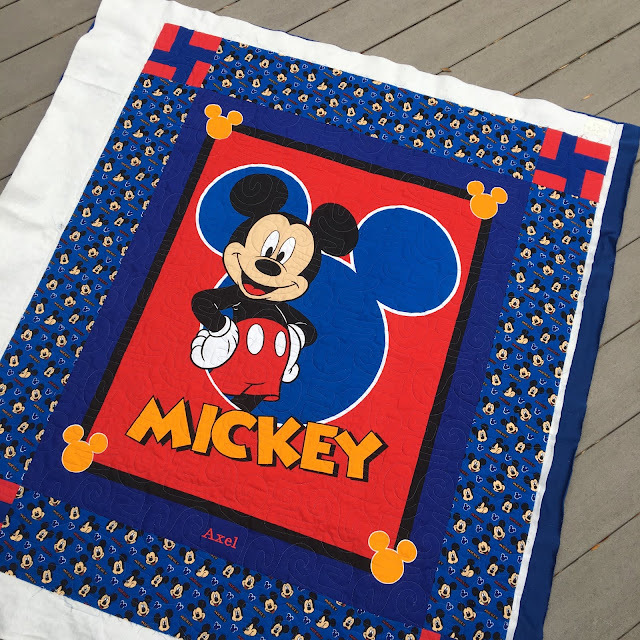 More fun quilts! I have a bag kit to make with the twisty template, and I've made a couple of mini quilts with it. I've never seen a flamingo twisty, though! 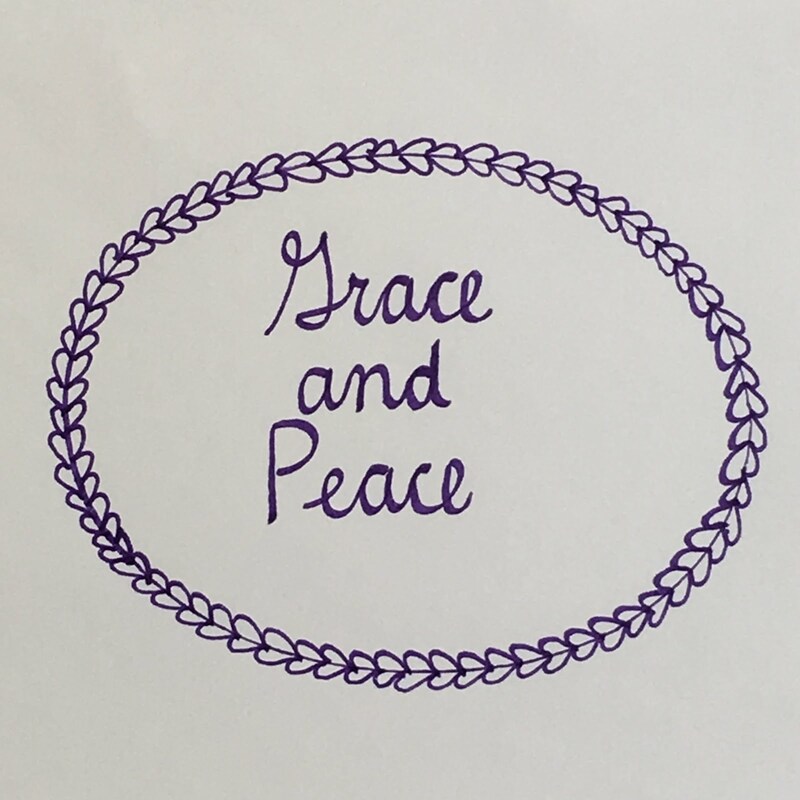 What a productive week for you! I've never seen the Twisty template before, it's really cool! 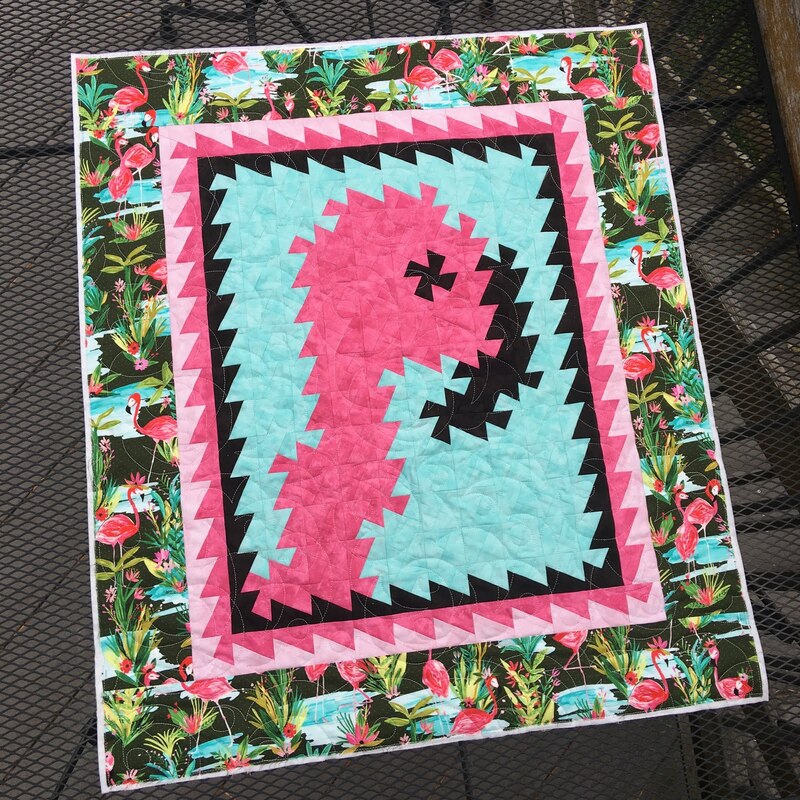 I really love that Flamingo quilt, and it was really clever how the twisty template made a jagged edged flamingo! 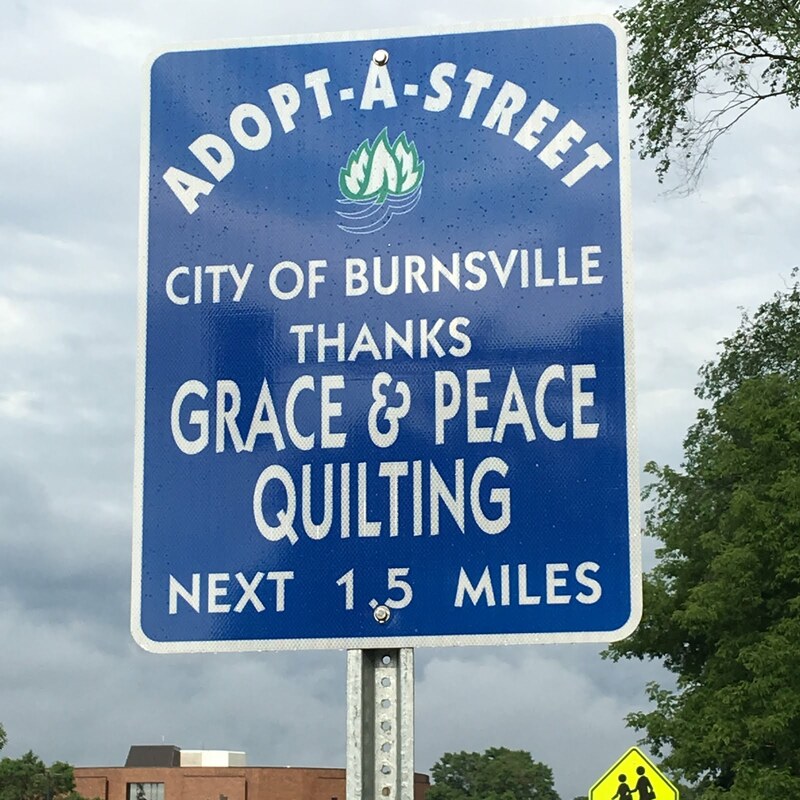 Great work to you both. 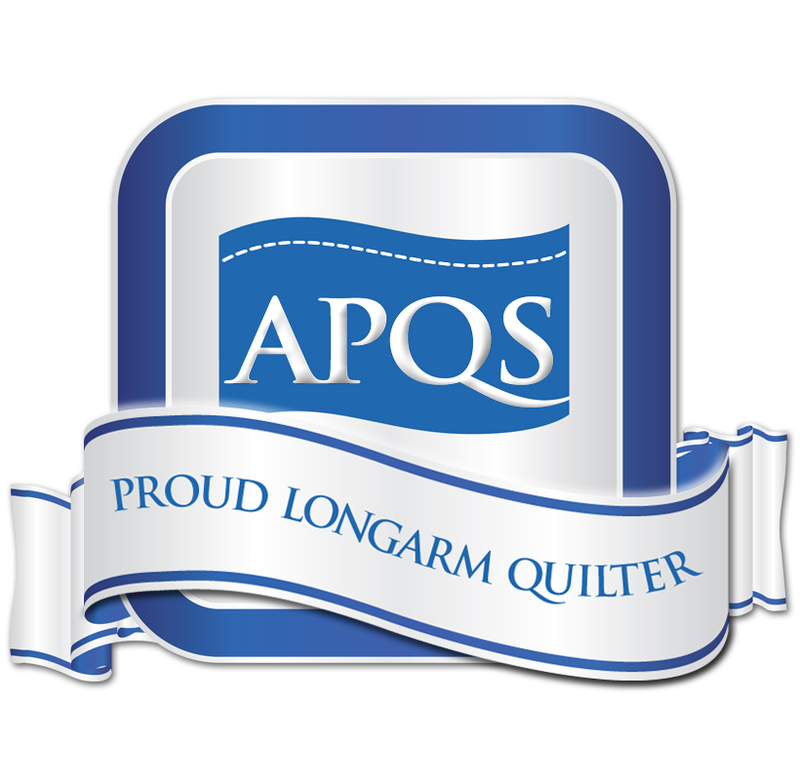 Very fun quilts indeed. 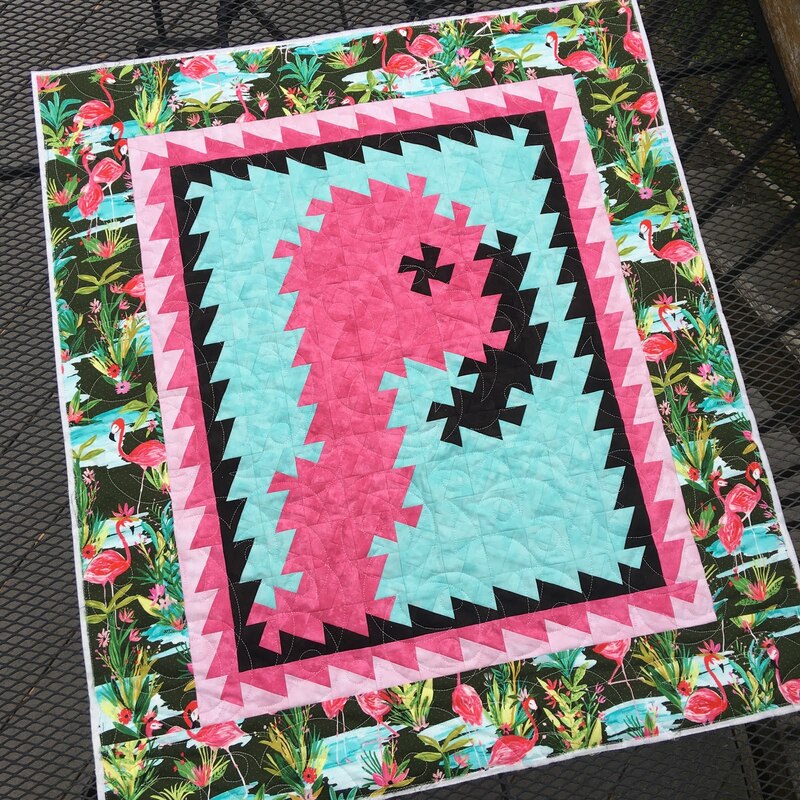 Did Peggy make up the flamingo twister? I have seen lots of patterns/ideas for these quilts, but not a flamingo yet. Both Peggy and you have been very busy. 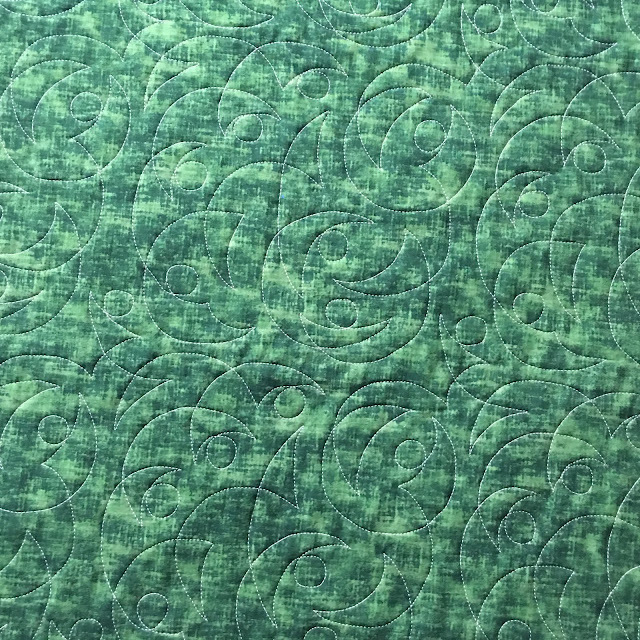 I'm drooling over the quilting on the Minky; it looks so nice and soft. 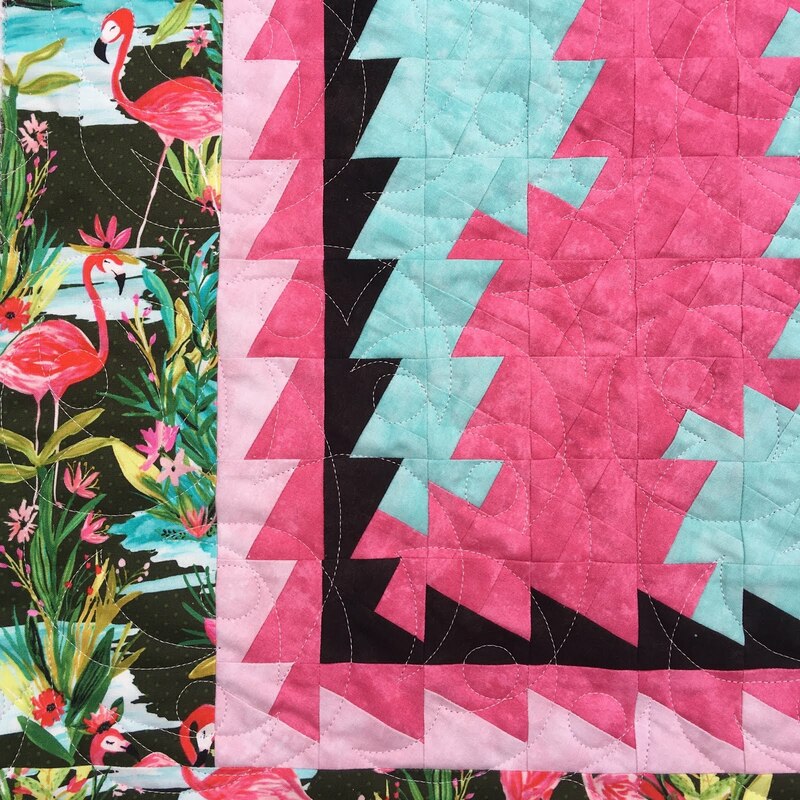 The flamingo quilt is so bright and fun!. Great quilting on all three. 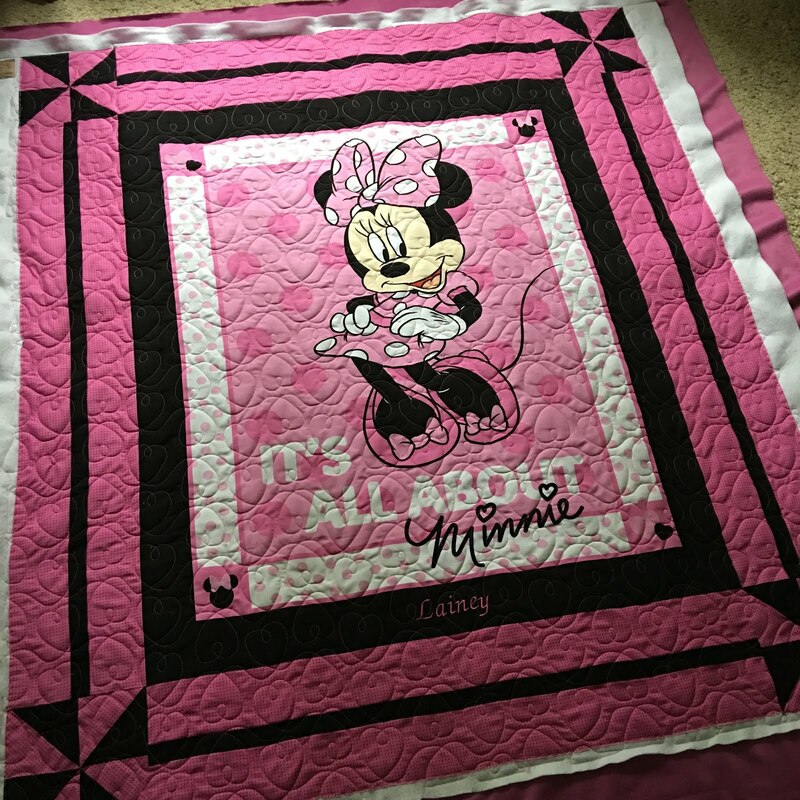 So many great quilting designs Nancy! 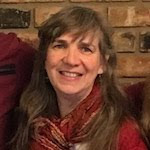 Are these computerized or panto?